Get a front row seat as host Anne Richmond and guest Emily Floyd open 8 Icons of the Realms Waterdeep: Dragon Heist blind boxes and unbox City of the Dead: Statues and Monuments from WizKids. Is it already the end of week one? Let's have a look at the rest of our board games and resources that make it easy to dip your toes into dungeon delving. Unlike some of the other Dungeons & Dragons board games that we've shared this week, Assault of the Giants from Wizkids is a competitive area control game with victory points to determine the winner. 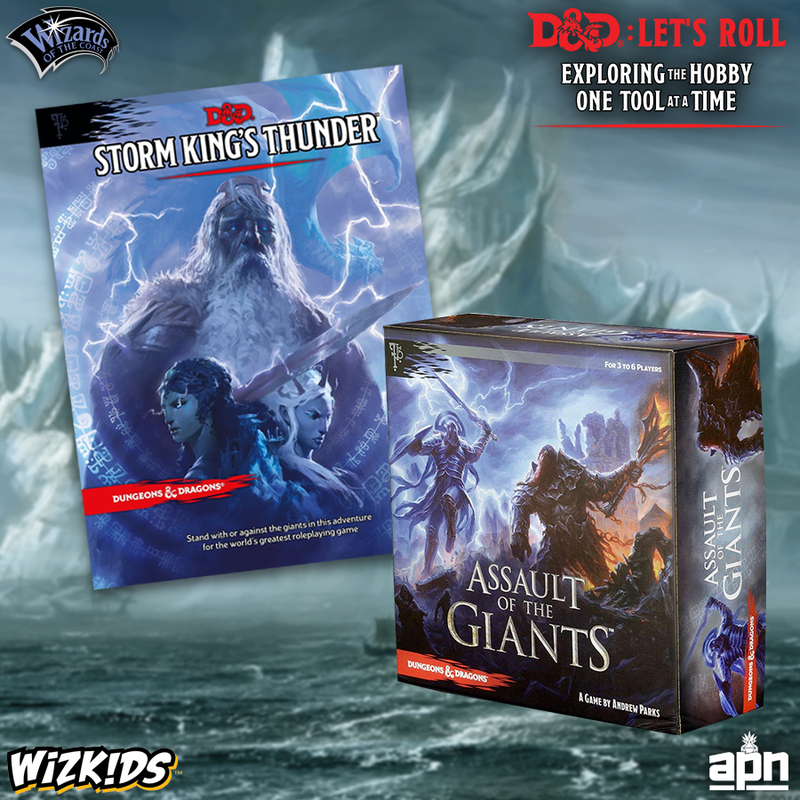 This game gives a glimpse of the different giants cultures you'll discover and interact with in the Storm King's Thunder campaign and will help you understand the concept of the Ordenning which plays a key role in that adventure. Learn more from The Dice Tower. Waterdeep is a sprawling metropolis that has oft been referred to as "fantasy NYC." If that sparks your interest, you may be interested in playing the forthcoming Waterdeep Adventures: Dragon Heist and Dungeon of the Mad Mage. However, if you're still on the edge, you might want to ease your way into Waterdhavian society with Lords of Waterdeep and its expansion Scoundrels of Skullport. Each player takes on the role of one of the 11 masked rulers of Waterdeep and competes for influence over the domain. The game will also introduce you to the five most influential factions in Waterdeep, the Red Sashes, City Watch, the Harpers, the Knights of the Shield, and the Silverstars - each of which play a key role in D&D adventures. You'll get to know the culture and layout of the city that will house both upcoming campaigns and grab a head start on your journey into "The City of Splendors." Watch Wil Wheaton Felicia Day, Pat Rothfuss, and Brandon Laatsch play Lords of Waterdeep on TableTop! Learn more in this epic review from DawnforgedCast.